Kuwait’s current account registered its highest surplus in three years during the first quarter standing at KD1.7 billion ($5.58 billion) - about 17 per cent of quarterly GDP - up from KD1.2 billion ($3.94 billion) in the fourth quarter of 2017, said a report by Central Bank of Kuwait. A rise in the trade surplus, supported by higher oil prices, more than offset a widening services deficit, lower investment income, and higher remittances, it stated. The trade surplus in first quarter rose to KD3.4 billion from KD2.3 billion the previous qaurter, lifted primarily by higher oil receipts and non-oil exports, while imports held steady. The price of Kuwait Export Crude averaged $63 per barrel in first quarter, a 9 per cent q-o-q increase, helping oil receipts add KD193 million during the quarter despite the Opec+ production cap, to reach KD4.4 billion. 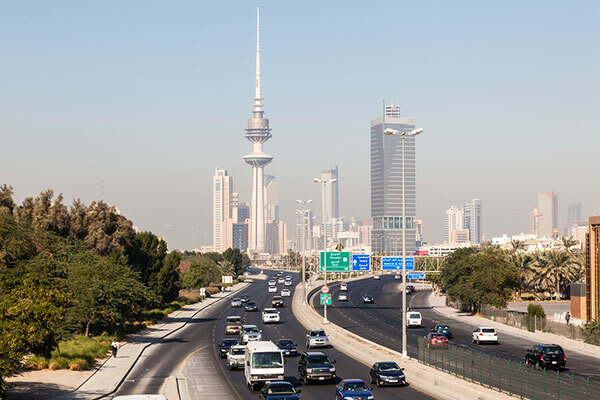 Central Bank of Kuwait pointed out that the higher petrochemical prices, which move closely with oil prices, and strong demand from Asia also helped support non-oil exports. Goods imports were little changed on the quarter, with modest growth relative to last year (over 4 per cent y-o-y), but still hinting at healthy domestic demand, stated the report. Implementation of government development projects and the improving business environment kept the import of intermediate goods robust. Meanwhile, stronger consumer spending was reflected in higher vehicle and food imports, it added. The country's central bank said deficit in the services balance widened to KD1.9 billion against a backdrop of improving economic prospects. An expansionary fiscal plan, in addition to higher oil prices, helped support domestic confidence. Growth in travel services was also robust, while the ongoing execution of development projects (infrastructure and administrative) fed into higher demand for construction and governmental services, it stated. Investment income eased for a second consecutive quarter, weighed down by a wobbly global equity market. first quarter witnessed higher financial volatility that negatively impacted the return on foreign financial holdings by domestic investors, said the CBK report. Remittances, on the other hand, increased following two quarters of declines, topping once again KD1 billion, as the effect of fuel subsidy cuts and various fee increases on income seem to have faded. Growing uncertainty over the outlook of expat employment and living costs, in light of intensified Kuwaitization efforts and a proposed tax on remittance outflows, which never materialized, may have also contributed to the increase in outflows, stated the country's central bank in its report. Meanwhile, the financial account deficit eased to KD1.4 billion in first quarter, from KD4 billion the previous quarter. Large net portfolio outflows were slightly offset by a positive FDI balance due to divestments by residents from controlling interests abroad, it said.